NEW YORK--(BUSINESS WIRE)--Trump Hotels™, the luxury brand of five-star hotels and resorts, announces its latest offerings and experiences for the upcoming spring season. Known for its exceptionally designed hotels in iconic locations, Trump Hotels’ award-winning properties in Chicago, Florida, Hawaii and Scotland are featuring an array of exclusive experiences for everyone to enjoy. 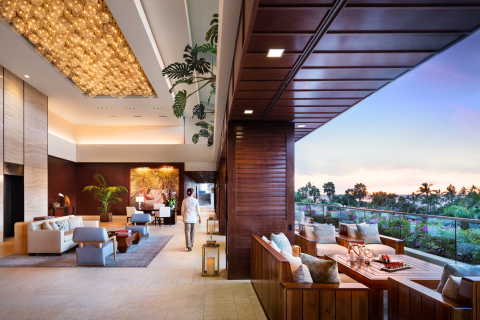 Travelers can plan the perfect spring getaway at any Trump Hotels destination with the Advance Purchase offer and receive up to 25% off on all reservations made 14 or more days in advance. Book using rate code PROADV. Terms and conditions may apply. For more information please visit https://www.trumphotels.com/advanced-purchase-promotion. Hidden away amid mature woodland in the heart of the magnificent Trump International Estate, the opulent Scottish mansion and lodge is the perfect setting for a classic Scottish getaway. MacLeod House & Lodge®, Trump Aberdeen will host a special Easter Sunday Roast on April 21 at the famous Dunes Restaurant & Bar, featuring lamb roast with all the trimmings (vegetables, skirlie, roast potatoes, Yorkshire pudding, and mint sauce). Tickets are £20.95 for adults, £10 for children. Children ages 5-12 will also receive a complimentary dessert – a special Easter Sundae. For more information please visit https://www.trumphotels.com/macleod-house. With the popularity of whiskey growing, Wai‘olu Ocean Cuisine located in the Trump International Hotel Waikiki has introduced a new whiskey flight offering on its daily Late Night Happy Hour beverage menu. The whiskey flight, highlighting distilleries from around the world, features three samplings: Whistle Pig, Red Breast, and Glenfiddich. Whistlepig, whose distillery is relatively new compared to several well-known names, is made in Canada where the liquor is aged in Vermont Oak casks. Red Breast, an Irish whiskey distillery has been around for 200+ years and is made using triple distillation and aged in sherry casks. Glenfiddich comes from Scotland and like that of Red Breast is distilled using primarily barley with the main difference, however, being aged in American oak. All three have many similarities in the creation process, which lets guests understand how the simplest differences make the biggest impact on flavor. The whiskey flight offering is $24. For more information please visit www.trumphotels.com/waikiki. 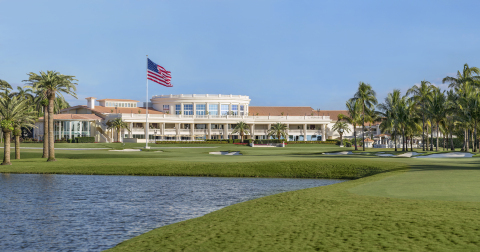 Trump® National Doral Miami is the ideal destination for a spring getaway that the whole family will enjoy. This spring, the hotel invites families to book the Best of Doral Package for a comprehensive family vacation. The package includes luxury accommodations with early check-in and late check-out; daily breakfast for two at BLT Prime; exclusive beach, umbrella and chair privileges at South Beach; complimentary parking; Trump Pets Program (four-legged family members are welcome); Trump Kids (welcome amenities and free meals for all children ages 15 and under); a $50 daily resort credit for use toward dining, golf, spa or other activities; and children ages 15 and under golf for free with an accompanying adult. Enjoy South Florida’s picture-perfect weather with the whole family, knowing that all of your needs will be taken care of. Rates start at $239/night. For reservations call 800-713-6725 or visit www.trumpnationaldoral.com. Enchanting and exceptional in every way, Trump Turnberry® has long been an iconic landmark on the spectacular Ayrshire coastline. 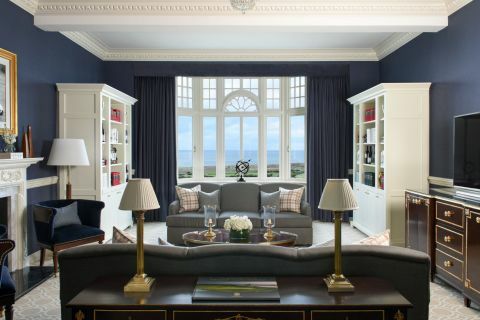 With stunning coastal views, distinct dining options, indulgent spa treatments, exhilarating outdoor pursuits, and championship golf, Trump Turnberry® ensures that your time at our luxury hotel in Ayrshire will be truly memorable in every way. This spring, the hotel invites guests to experience the iconic, award winning Ailsa golf course with the Spring Ailsa Golf Break Package. This package includes a one night stay in luxurious accommodation, breakfast and one round on the championship Ailsa course. To book, call +441655 333 991 or email reservations@trumpturnberry.com. For more information, please visit https://www.trumphotels.com/turnberry.